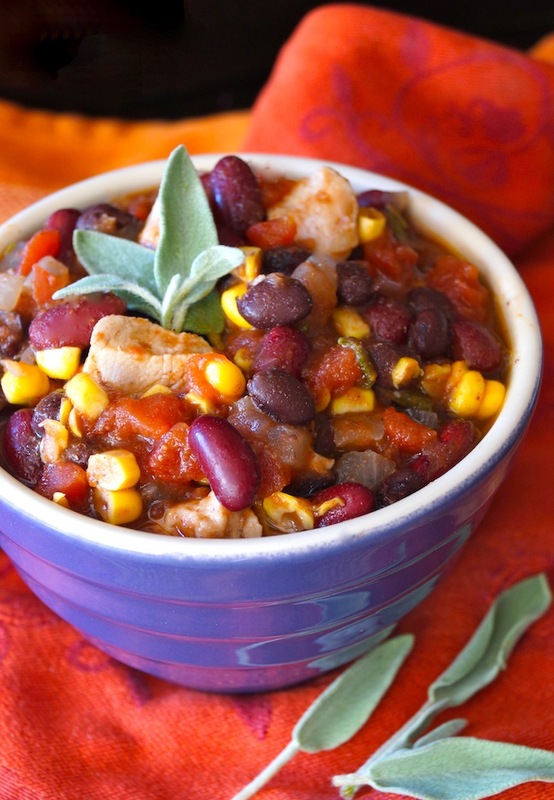 I make this chicken chili recipe at least once every couple of weeks for my family. It’s very quick, super easy, full of healthy ingredients, and, most importantly, off-the-hook delicious. Naturally, while one of my boys loves the chicken, the other prefers steak or pork. (I’ve always said if they combined their favorite foods they’d love everything!) So sometimes I change the chili up and use steak or pork instead. That’s the beauty of a rustic, stew-like dish like this—any which way, it’s a tasty, hearty, and comforting one pot meal. 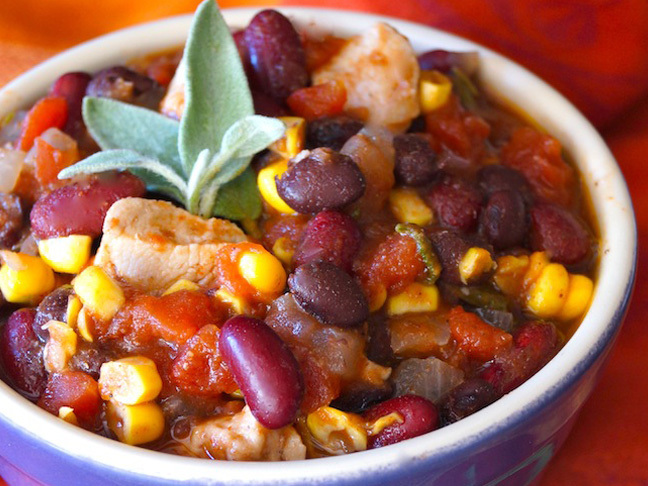 This is ideal to have in your repertoire as the new school year is here, and we’re all looking for yummy, quick, and easy recipes to keep us going. Step 1: Coat the bottom of a large pot with olive oil and place it over medium heat. Lightly season the chicken pieces with salt and pepper and add them to the pot. Cook just until it's cooked through, about 4 minutes. Remove the chicken from the pot and add it to a bowl. (Do not clean the pot.) Set the chicken aside. Step 2: Add the onion and garlic to the same pot and place it over medium-low heat. (Add a bit more oil if the ingredients are sticking a lot.) Sauté until the onions are soft, about 5 minutes. Stir in the sage, chili powder, and cumin and cook for another 30 seconds or so.